Draw a card for each creature you control with a +1/+1 counter on it. Put five +1/+1 counters on each creature you control. Those creatures gain indestructible and vigilance until end of turn. : Untap all nonland permanents you control. : Create a number of 1/1 white Soldier creature tokens equal to your devotion to white. 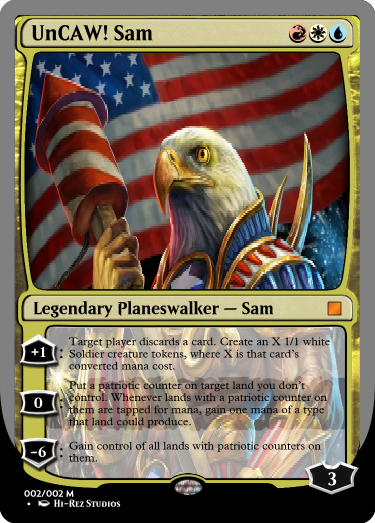 : Exile all nonwhite permanents. : Look at the top two cards of your library. Put one of them into your hand and the other into your graveyard. : Target instant or sorcery card in your graveyard gains flashback until end of turn. The flashback cost is equal to its mana cost. : For each player, choose up to two target creature cards in that player’s graveyard. Return those cards to the battlefield under your control. Judging sometime in the next 24. A Wild Hat Enters the Ring! 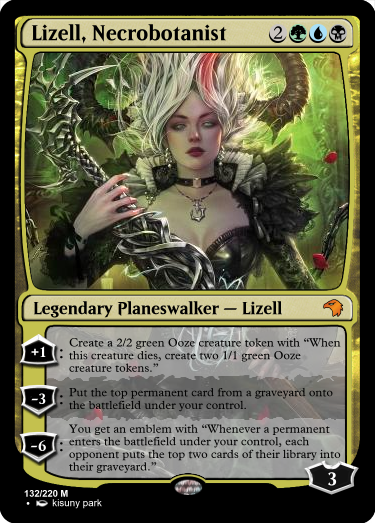 Cross-posted from the commander game. Ok, entries are closed, and I'll judge in 15 or something like that. Tesagk (Anarys, the Seed Carrier): Anarys's -4 seems very similar to her +2. If you use her in a deck with lots of +1/+1 counter synergies, the +2 is actually probably much stronger than the -4, which isn't how the abilities should be costed. 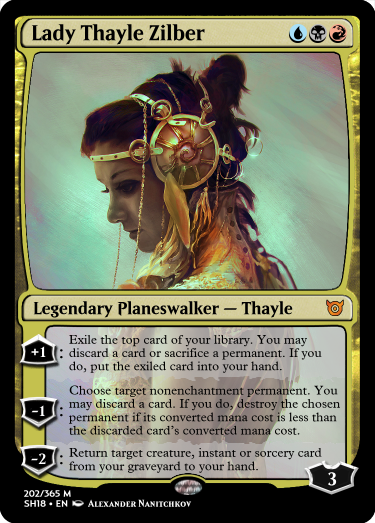 Also, the wanting of +1/+1 counter synergies within that first ability isn't' supported by anything else, and the only way to use her just seems to be in a deck with lots of creatures. However, that does fit the mechanic you chose, so its not really an issue. @akai Ryu (Admira, the Futurelaw): This seems like a cool card with a lot of flavorful and interesting playstyles. 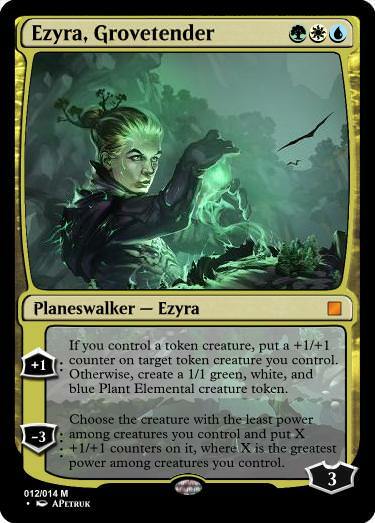 My only problem with it is the fact that the flavor and first two abilities of the card make it feel like it wants to be a more controlling planeswalker, but the ultimate seems like you want to be both agressive and have lots of creatures, something a control deck isn't normally suited too. 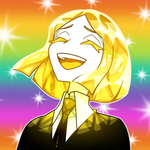 However, overall, nice entry! Fleur de Violet (High Rebel Lasurus): I like the first two abilities, as devotion wants to play into a mono-red theme, which the second ability also does well with, while also being an aggressive, (kind of) card draw engine. However, not only does the ultimate feel out-of-pie (I understand that its in now, but its not what you'd expect if the card is mono-red to the extreme), but it feels really overcosted, as for 5 mana and two turns of keeping Lasurus, all the opponent has to do is sacrifice three lands or some useless creatures. Overall, this is an interesting entry! kinotherapy (Huatli, Orazca Ascendant): As Tesagk implied, this is a super-awesome entry. 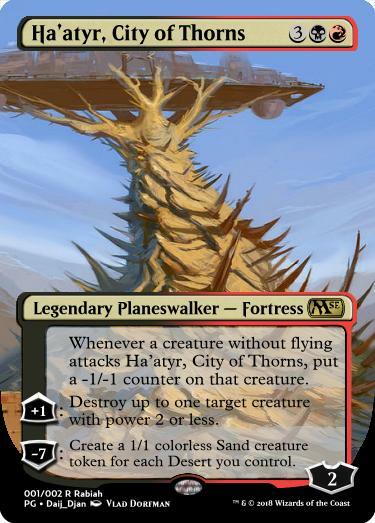 This Huatli uses the cities blessing in an innovative way on a planeswalker, and the abilties are good at combining aspects from both colors (group-hug and dino tokens for the first, and fight effects and exiling tapped for the second.) However, I think the most interesting part of the card is the fact that the -X, depending on whether the city's blessing is turned on, is either a 0 or an actual -X. I think the only problem with the card is that it's undercosted, as a player with ten or more permanents can get 3 +1/+1 counters, vigilance, and trample for all their stuff for just 4 mana. viriss (Kari, Master Spiritualist): This is a cool take on both emblems and manifest, as the fact that the -2 is very minimally costed on the card means that you could feasibly activate it multiple times, making it very strong in a manifest / (mega)morph deck. I think that the problems with the card are that you can manifest any player, but can't turn a creature face-up if you aren't running the right mana, and the other -2 doesn't feel like it has a relation to the other abilities. Icarael (Kiara Rothzalan): Where the Huatli above was undercosted by a large degree, Kiara feels overcosted, not doing enough to warrant playing. 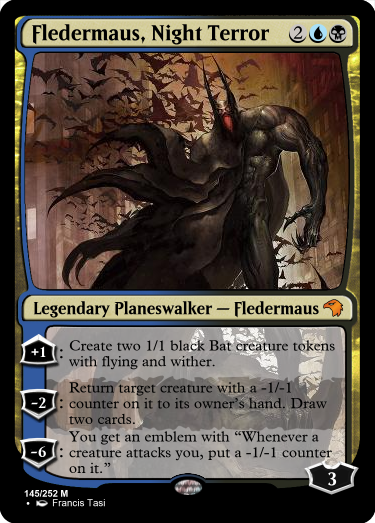 None of the abilities do anything without a creature on board, and you need to have a full board of them with +1/+1 counters to make the -4 worth using 4 loyalty counters for. However, I do like the intent and abilities of the card, the cost just feels off. @dajj_Djan (Zun-Rax, Automated Assembly): All my life, I have been trying to understand why Absorb was ever a mechanic. I have finally seen the light. It's great to see a card actually use Absorb in a way that can't be solved by just adding one more toughness (yes, I know, double-blockers, but still. It's narrow.) The two other abilties of the card do a good job at making an artifact matters walker, with card advantage and Thoppy bois. Flo00 (Damen, Pupil of Heliod): Another devotion entry! This uses a similar approach with token creation, but the abilties feel unique to the card in a different way than the above Lasurus. The +2 gives your creatures semi-vigilance, and the -10 is super-in flavor for an all-white deck. The only glaring issue with the card is that it takes out lands, which leads to unfun gameplay. monger (Dralnu, Eternal Lich): The -1 is a nice use of a Snapcaster-esque ability, and the ultimate works in the same way. Although the +1 works well with the individual abilities well, the fact that you can only put one card in the yard means that it would be weird to try and decide what to put in the yard and what to draw. However, that does create interesting gameplay, so nice job! bagz (Ananpa, Keeper of the Book): This card works well for the colors that it's in - the focus on lots of death triggers works really well with black and white's board wipes and black's targeted removal. The two abilities also work well together as a progression of power. 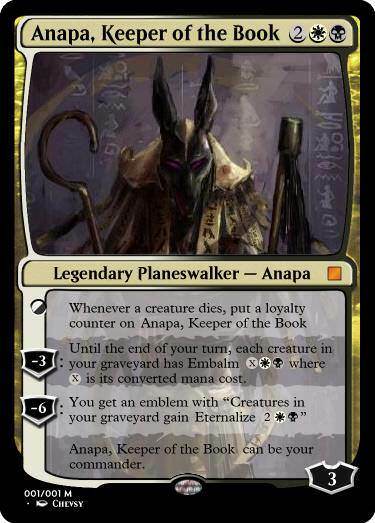 However, I think that the fact that Ananpa doesn't really do anything once the emblem is already online, as you don't need either ability because you already have the emblem that's more efficient, and as a commander, you should be able to cast it multiple times and have it impact the board. 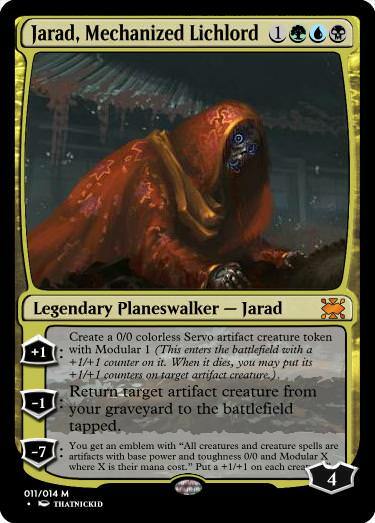 3rd: mrlozano with Jarad, Mechanized Lichlord - The abilities worked together and seemed like they would cause very interesting and varied ways to play the card. 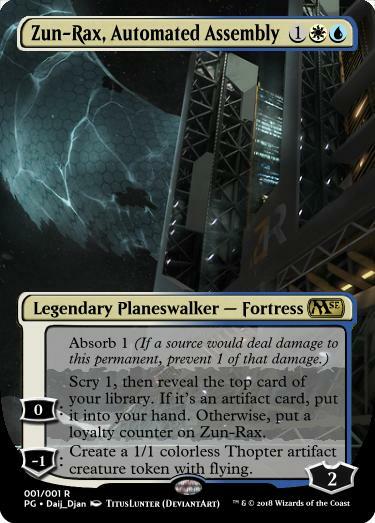 2nd: @dajj_Djan with Zun-Rax, Automated Assembly - ABSORB BEING GOOD It was a solid design that played with a theme, generating value and creatures. 1st: To quote Tesagk, "kinotherapy gets my vote." 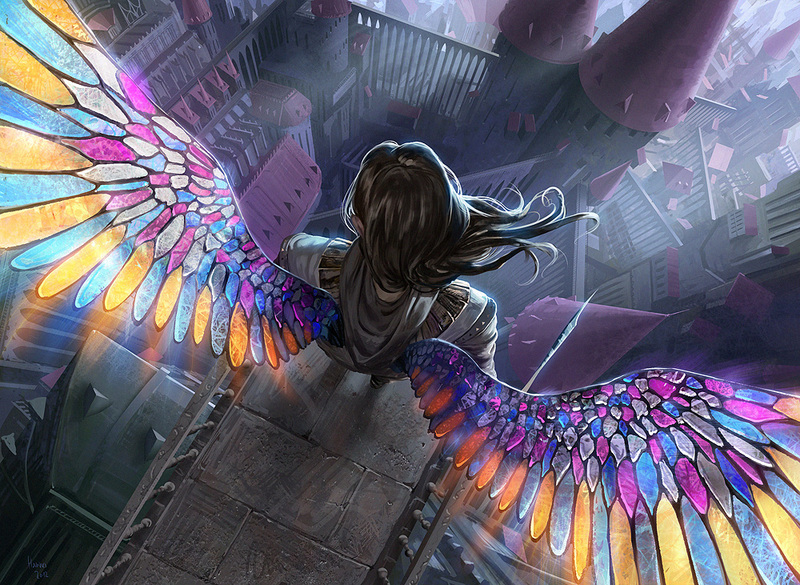 - The card used the city's blessing incredibly well, and had many interesting choices for the colors of different abilities and how the city's blessing affected them. Thanks for the feedback. Good point about his staying power as a commander. Grats to you guys who placed! 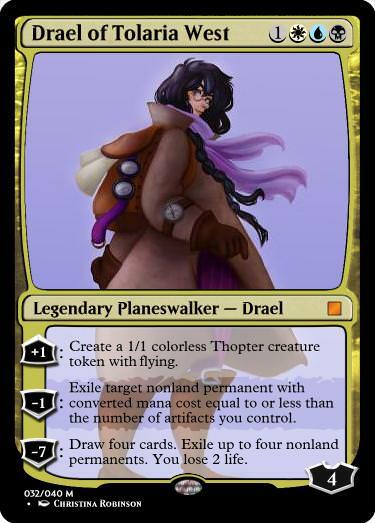 Next: a three color planeswalker. No hybrid mana! : Exile the top three cards of your library. 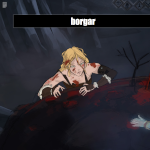 Until end of turn, you may play cards exiled this way. +2: Huatli, the Prophet of War deals 1 damage to each player. Create a 1/1 red Dinosaur creature token with trample and haste. -3: Target creature you control gets +3/+3 and gains trample, haste, and vigilance until end of turn. -X: Choose one: Huatli, the Prophet of War deals X damage to any target; You gain X life; or tap X creatures an opponent controls. Huatli, the Prophet of War can be your commander. I don't know why I decided to go with only two abilities for this one, it just felt right, I guess. Thanks a lot! That Drael's going into my next set, so, I'm glad you liked it! 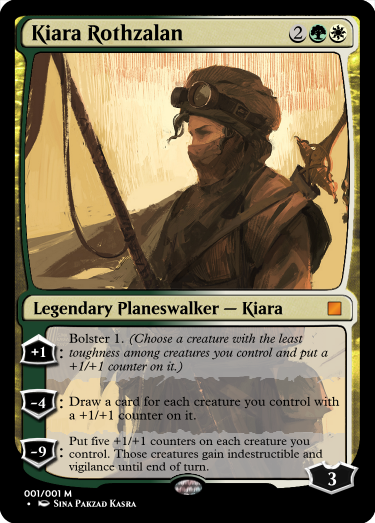 Now, for our next challenge, let's see a 'walker that has to do with -1/-1 counters in some way! : Put a -1/-1 counter on up to two target creatures. : Remove a -1/-1 counter from target creature you don’t control, you gain control of that creature. 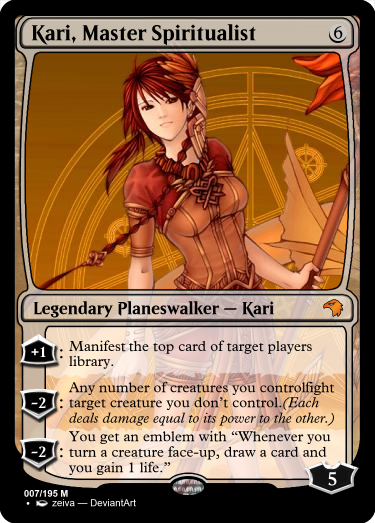 Vix was a student of the Tolarian academy. However, she felt restrained by the confines of its rules. When a lab accident threatened her life, Vix's spark ignited and she walked to a strange, previously unknown world. Suddenly, she was the most powerful being on a particular plane. She has spent lifetimes there perfecting her magic and building an army utterly loyal and devoted to her and her alone. : For each kind of counter on target permanent, put another counter of that kind on it or remove one from it. : Put a -1/-1 counter on each creature. : Gain control of all permanents with counters on them. I think this may be too powerful, but I'll throw this in here. : All creatures gain wither until the start of your next turn. : Destroy all creatures with -1/-1 counters on them. They can't be regenerated. : Exile ~, then return it to the battlefield transformed. When ~ enters the battlefield, each player sacrifices all creatures they control, and their life total becomes 10. Whenever a creature enters the battlefield under an opponent's control, put a -1/-1 counter on each creature that player controls. 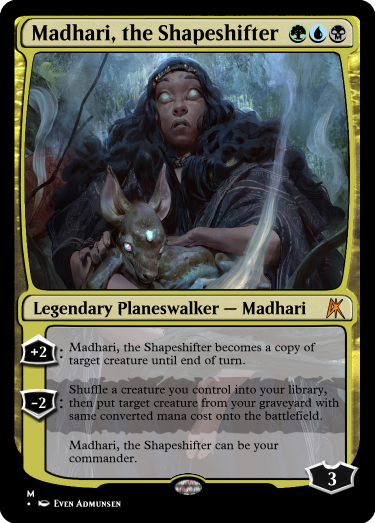 : Until your next turn, whenever a creature attacks you or a planeswalker you control, that creature’s control exiles the top two cards of their library. : Put a creature card exiled with Ashiok, Demented Dreamwalker onto the battlefield under your control with a -1/-1 counter on it. : Choose any number of noncreature permanent cards exiled with Ashiok. Put those cards onto the battlefield under your control.